In recent years, developers have been building shophouses in the podium of their condominium buildings at large projects in new urban areas like District 7 and 2. They are mostly in demand from businesses like spas and restaurants. These properties are either sold as freehold or leasehold to investors who subsequently lease them commercially. They offer advantages like limited supply, good location, high liquidity, high capital gain, and flexibility (private business or leasing), according to CBRE. A broker in District 7 told Viet Nam News that shophouses were always in high demand and sold out quickly when a new project was launched. The broker said demand for shophouses in District 2, where new urban areas are being developed, had increased significantly. 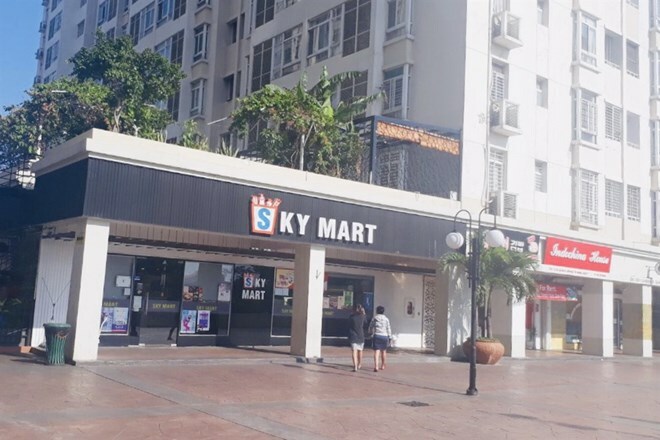 The report said in the south of HCM City, in places like District 7 and Nha Be, were large domestic and foreign residential communities which always have high demand for shopping and food. District 7 including the Phu My Hung City Centre has a total of 471 shophouses with average rentals of US$22-30 per square metre per month. Their selling price is around $4,000. Mostly occupying them are food and beverage and home décor businesses and convenience stores like 7 Eleven, El Gaucho, Thea Clinic, Genshai, and Vinmart. According to CBRE, while District 7, especially the Phu My Hung City Centre, is a mature market, Nha Be district, especially the area around Nguyen Huu Tho street, is a new and promising market. “The remarkable increase in the number of high-rise condominiums and well as low-rise houses on Nguyen Huu Tho street has created new residential communities with high demand for shopping, foods and entertainment. “Some available projects such as Phu Hoang Anh, Sunrise Riverside and Phu My Hung Saigon South Residence have shophouses in their podium to meet the demand. “The average asking prices for shophouses in some new condominium projects such as Sunrise Riverside and Phu Mu Hung Saigon South Residence are 3,652 USD and $,767 USD per square metre. “The Park Residence project has 90 shophouses (Central Point Shopping Plaza). The average asking rent in the area is from 10 USD to 25 USD per square metre per month; some projects like Phu Hoang Anh 1 were quoted at 15 USD to 10 USD,” CBRE said.